Innovation doesn’t start or end with technology. Innovation is always first and foremost about people — working together, in a team, with client communities, understanding needs, fostering change and adoption that begins and ends with people, their lives, experiences, hopes and aspirations. The Masterclass has been designed for those who want to learn ways of putting people first in addressing common and pressing human concerns with climate change, resilience and sustainability, the blue economy, the next economy. Its foundation is human centered design — Design Thinking and Strategic Foresight — coming out of Stanford University’s d.school, rooted in decades of collaboration in a center of global innovation, Silicon Valley. Acting with foresight in the design mindset of a culture of innovation is to be informed by hindsight, self-aware, agile, flexible, non-linear, ready for change, delivering new solutions. Foresight is not about predicting the future, but seeing a bigger human picture that will help you deal with the unexpected. This is why Design Thinking and Strategic Foresight are being so widely adopted, with a third of startups in Silicon Valley and corporations like IBM and Google embracing the way of design. Ways of looking at the world, of thinking, planning, and acting, they are tried and tested ways of delivering innovation by putting people first in a world of runaway change. Questions addressed will include the following. In Business Model Innovation — How do we “zero in” on a few strategic opportunity areas? How do we create a business culture of experiment and innovation? In Advanced Project Management — How do we build an innovation-savvy leadership team? How do we find and eliminate “zombie” innovation projects? How do we incorporate Design Thinking and Strategic Foresight into our teams? In Design Thinking — How do we increase our rapid prototyping? In Strategic Foresight — How do we pick the right idea to develop? How do we model our competitive landscape as it reaches into the future? Inventing the Future — How should we understand who is our future customer? Building Sustainable Advantage — How do we build the right team? How we foster a lasting culture of innovation? The Masterclass will explain and demonstrate just what Design Thinking and Strategic Foresight are in a hands-on workshop that introduces a toolkit for bringing them into your own business and organization. Run by a master teacher from Stanford, participants will experience a heady mix of both theory and practice — so you know why and how to build your own innovation toolkit. Climate-KIC start-ups and select programme participants have free access to this Masterclass. Travel costs will be reimbursed by Climate-KIC up to 200 euros per person. Costs must be submitted within 15 days of the end of the Masterclass for reimbursement. All participants have to pay and arrange their own accommodation. Please note that there is a 500 euro no-show fine for this Masterclass. Please read the full Code of conduct and be prepared to send in your signed version when requested to do so. For those not following the Climate-KIC Acceleration Programme (or associated Climate-KIC programmes), the tuition fee for this Masterclass is 950 euros per person. 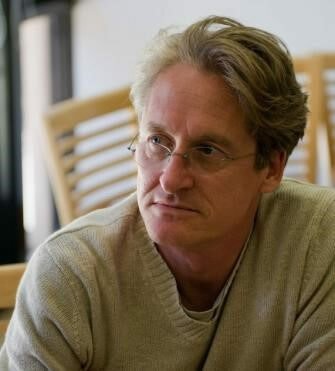 Michael Shanks, an anthropologist and humanities specialist, is a pioneer in connecting research and practice in such Design Thinking — what also gets called human-centered design. An archaeologist interested in long-term views of design and innovation, he is a senior faculty member in Stanford University’s Programs in Science Technology Science, Urban Studies, Writing and Rhetoric, and in the Center for Design Research (CDR), part of Stanford’s d.school. He has directed Stanford Humanities Lab and the Revs Program, connecting the past, present and future of automotive design, and is now part of a new unit in CDR dedicated to research in strategic Foresight. An award winning teacher and communicator, Michael’s class “Ten Things: An Archaeology of Design” was voted by students one of the top ten must-take classes at Stanford. In pursuing essential relationships between centers of learning, businesses, and public organizations, he serves on the Mayor of Rotterdam’s Advisory Board and has worked with many companies on developing cultures of innovation, most recently Airbus, Severstal, Thales, Michelin, Chrysler, SAP.